For everyone attending the gig on May 24th, 2003 in Culver City at Joxer Daly's, have a ball, y'all! Phone (310) 838-3745 for show time. March 8th "The Pool&Pony" St.Catherines, Ont. March 15th "The Iron Horse" in Kingston. Ont. March 22nd "Nashville North" Georgetown. Ont. March 23rd "Alexanders" Brantford. Ont. March 28th "Barzocus" St Catherines. Ont. March 29th "Victoria Inn" Niagara Falls" Ont. March 30th "Goldie Fox" Toronto. Ont. It's here!!! It's finally here!! 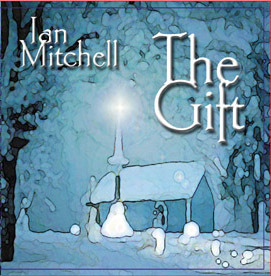 Ian Mitchell's brand new release, "The Gift" cd!!! YES!! Oooooh, getting my order ready now!! I'm so excited! It is a project that has been long and tedious for those involved but the reason it has all been pulled together makes it all worth-while, yeah! Truly, a labor of love and dedication for a super special cause. 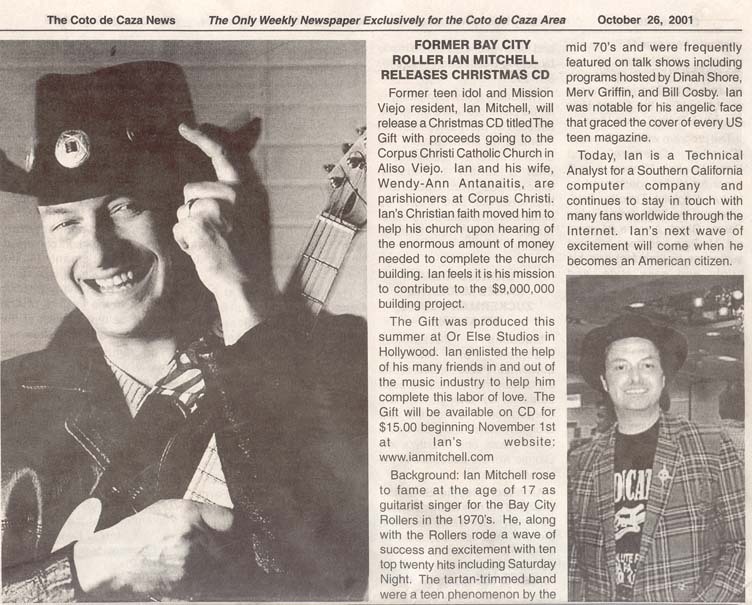 All proceeds will go to benefit the building fund for the Corpus Christi Catholic-Christian Church in Aliso Viejo, CA. Participating with Ian in it's making were Craig Else, Kathy Grant-Page, Joe Stefanelli, Chris Pellegrino, Barbara Moulton, and Wendy-Ann Antanaitis......a host of beautiful voices; you'll be delighted! Please click on the logo above, the one beside the new cd cover, to see the wonderful website created by Jill and Wendy to learn more!! These are just a couple of the press releases about the new cd! 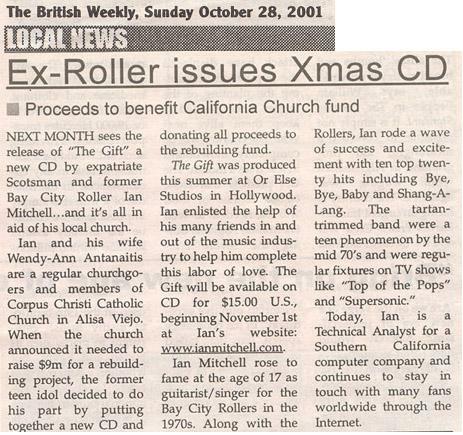 A few discrepancies in the British Weekly....Ian is an Irishman, not a Scotsman....the church is in Aliso Viejo, not Alisa, and the funds are going to build the church, not rebuild as they put it....Anyhoooo.....You may note some of the song tracks are in bold italics....did it work to get your attention? Goooood. They're song samples from the cd.....Click away......they're awesome! 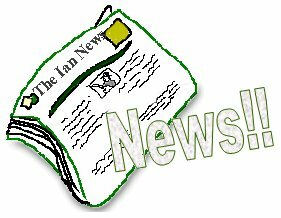 In other news, Ian recently returned from the Rosetta Stone fest held in England on September the 7th and 8th, 2001. Here he was reunited with his former band-mates and put on a wonderful show, as I've heard, for all of the lucky attendees. I wasn't able to go but thankfully, was able to get this year's Rosetta Stone fest t-shirt that I've already just about worn out. While Ian was abroad for the Rosetta Stone Fest, on September 11th, our Nation was struck by a senseless and still unbelievable tragedy when two hijacked aircraft flew into the World Trade Center in New York. Not long afterwards, another hijacked plane smashed into the military icon of the United States, the Pentagon in Washington, D.C. Just as the world held their breath, there was the news of a fourth fatal plane crash in Pennsylvania, a winged machine that carried heroes, for several passengers wrestled control out of the hands of hijackers.......thus another target was spared. Countless lives have been lost, the men in this plane, the innocent passengers in all four aircraft and the many people who worked in or were inside the buildings when they were attacked. Firemen, police officers, and other rescue workers also were lost in the worst assault in U.S. history, worst even than Pearl Harbor....and they will never be forgotten. From everyone in the Ian "family community", Bay City Roller "land", and Rosetta Stone "land" we again extend our deepest sympathies and prayers to all whose lives were changed forever from the events after one once quiet morning.